Lewis and Rita Ora never confirmed their relationship, but they were spotted together on numerous occasions. They even enjoyed a secret sunshine break together in July 2016, while Rita was supposedly pictured leaving his apartment after spending the night together later that summer. 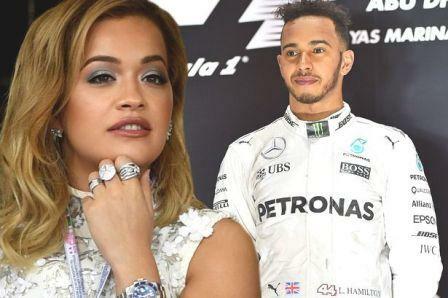 In November of the same year, Rita played the loyal girlfriend by supporting him at the Abu Dhabi Grand Prix – where Lewis was forced to surrender his crown to Nico Rosberg.